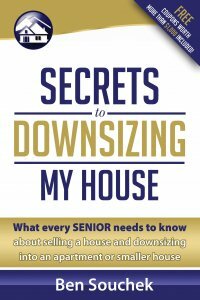 Introduction to Home Downsizing Solutions by The Sierra Group, LLC. We are professional home buyers that provide a stress free, hassle free home sale. Ben Souchek: Hi. I’m Ben Souchek with The Sierra Group and Home Downsizing Solutions. 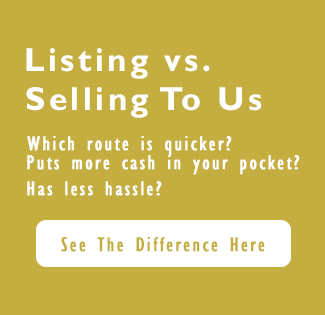 I just wanted to take a quick moment to introduce you to what I think is one of the most stress free, hassle free ways to sell your house, especially if your downsizing. My company has been providing solutions to sellers for over 20 years and we try and provide multiple solutions so that we keep your needs and your situation in mind. Some of the benefits that most people or most sellers that work with us find beneficial are that unlike traditional sales or in the traditional manner of selling a house, there are not open houses, there are no agents calling at the last minute to want to show your house on a moment’s notice, so no life interruptions. There are no whole house warranties to buy, no whole house home inspections that traditional buyers typically want so that you don’t have to worry about any repairs of updating of the house. You can sell it as is and no closing costs to pay, no commissions to pay, and probably the biggest benefit that people like is a stress free, hassle free way to make a transition to their next house. Sometimes, we can actually buy your house, but not take possession or allow you to stay in the house for another 30, 60, sometimes 90 days. You can have the house sold, not have to worry about a vacant house sitting there, but move whenever it’s convenient to your new home. That’s probably the biggest or one of the biggest benefits that we can provide to you and in general you keep control of the sale of your house. You’re not depending on someone else telling you when they can close or when they want you to move. If you would like to explore some of the ways that we can help you or to see if we can help you, please give us a call toll free 888 … I’m sorry, 855-291-5005. That’s toll free 855-291-5005 and I look forward to hearing from you. Thank you.